Shoots sub MOA out of a Ruger compact and a Mossberg patriot youth. Great performance on game as well. What more do ya need? I love this stuff. Great price and awsome performance! Never had any problems, I've fires about 500 rounds through my Remington 700 and always on target. 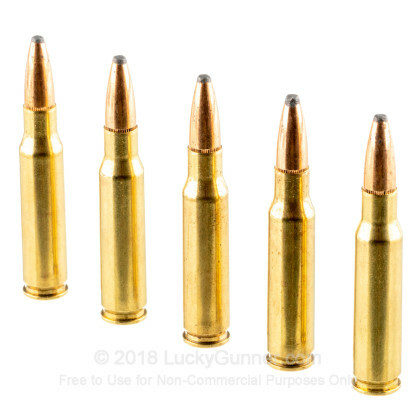 I have used this ammo exclusively in my Remington 700 1/10 twist 22" barrel. Very accurate sub MOA. 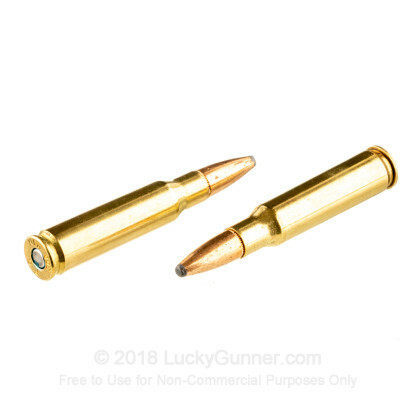 Been able to harvest deer and antelope past 400 meters with this ammunition. 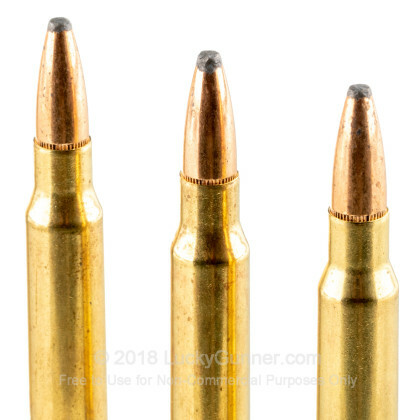 Shooting 300 yards at round targets and the bullets are landing on-target and the recoil is manageable. 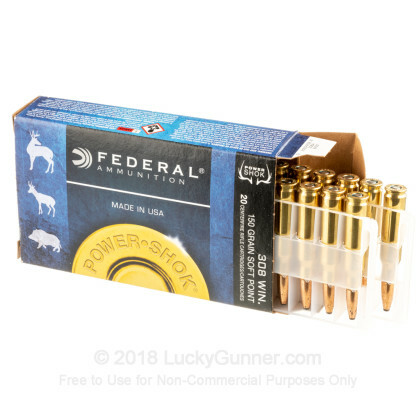 I'm hooked on this round for my medium distances. Most accurate load I found for my DPMS LR-308. 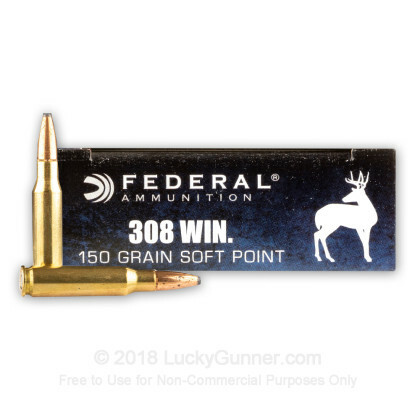 Shot a doe at 265 yards with this ammunition and was quite impressed. The round hit the doe behind the left shoulder and exited through the right shoulder. I have never seen a deer drop so hard after being shot. I'm pretty sure the deer was dead before hitting the ground. No tracking or second shot required. I will be using this ammo on hogs in Feb. 2011. 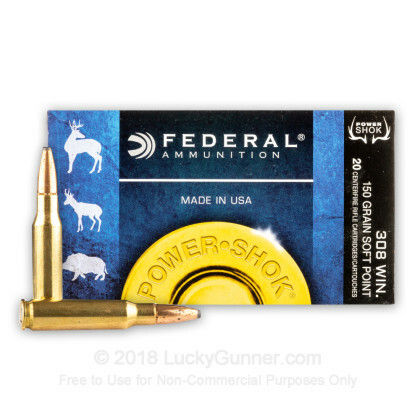 We also have this 308 - 150 Grain SP - Federal Power-Shok - 200 Rounds ammo in stock in a bigger quantity.